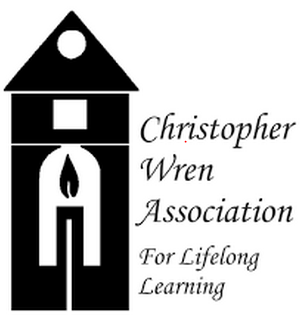 The Christopher Wren Association for Lifelong Learning has just released its fall 2015 catalogue of classes in advance of fall registration, which begins July 21. There are over 100 courses from which to choose – with subjects ranging from Computer Labs/Lectures to Religion & Philosophy – to American History, Art, Music & Film. A typical class might be “The Music of Duke Ellington” or “Conversational Italian” – or it might be “The Holocaust from a Victim’s Perspective” or “Greenhouse Gas Emissions: how to eliminate and reduce them.” Actually, there is no typical class. The subjects are as unique as the instructors who teach them and the members who enroll. Courses are taught by volunteer instructors from William and Mary faculty, both current and emeritus, as well as instructors from the Association’s membership and the community at large. Additional offerings include the “Town and Gown” series of special guest lecturers and special event trips for an additional charge. Registration for classes opens on July 21st, 2015. Admission is open to any adult who is able to take daytime classes, and tuition for a semester is $100. Interested parties can request a catalogue and register here. Even though its membership is robust, CWA is always looking for new members. Besides, who doesn’t want to keep up with current events, continue their personal growth, and have fun learning something new? Or, at the other end of the spectrum, impart wisdom from a successful career? Two Virginia public universities are ranked in the Top 5 of Kiplinger Magazine’s annual ranking of the “Best Values in Public Colleges.” The University of Virginia in Charlottesville was ranked second, while The College of William and Mary in Williamsburg stayed at number four. Five other Virginia universities also ranked in the magazine’s top 100, including James Madison University (22), Virginia Tech (27), The University of Mary Washington (61), George Mason University (72), and Christopher Newport University (84). The entire Kiplinger ranking is available online here. Williamsburg VA was named #4 on a Top 22 list of America’s Best College Towns by Travel + Leisure Magazine. Four other VA towns made the list The magazine’s readers also voted Charlottesville, Harrisonburg, Fredericksburg and Lexington to the list highlighting 20 of the best college towns in the U.S. Burlington, Vt. was No. 1. 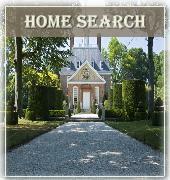 According to the article, a survey was conducted on the magazine’s social media sites about America’s Favorite Towns. The Top 22 were narrowed down from 744 towns (in 55 categories). Charlottesville, home to the UVA, was No. 2 on the list. The university was hailed for its diverse entertainment that includes Monticello, a “charming downtown pedestrian mall,” and music offerings ranging from the Moscow Ballet to up-and-coming bands. 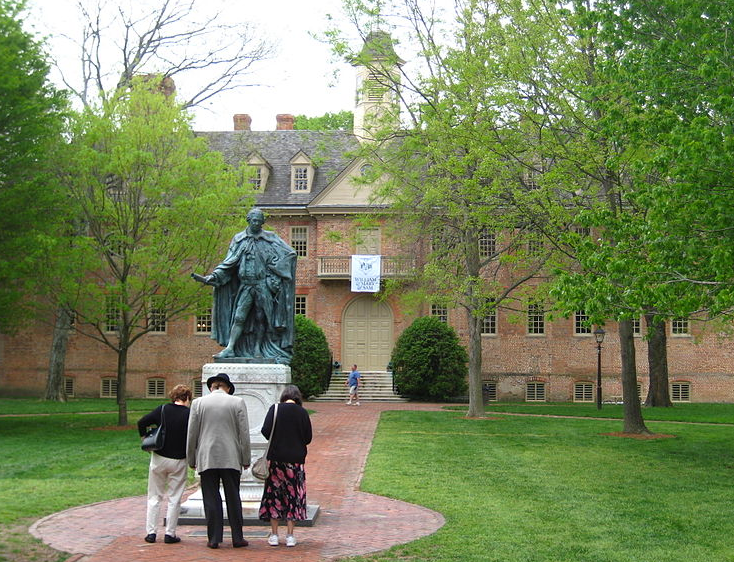 Williamsburg, where the College of William & Mary is based, ranked behind Charlottesville at No. 4. “If your only experience with this town was a tour led by aspiring actors in period garb, it’s time for a repeat visit,” says Travel + Leisure’s write up on Williamsburg. The magazine touts Williamsburg’s arts district and romantic hotels, among other things. Harrisonburg was No. 5 on the list, celebrated for its “revitalized downtown” featuring Three Brothers Brewing, Capital Ale House and bike paths. Fredericksburg ranked No. 9 with positive mentions for its dining scene and history. Lexington, home to Washington and Lee University and Virginia Military Institute, came in at No. 14. “Lexington is the kind of place you visit and find yourself picturing your life there,” Travel & Leisure says. The University of Virginia in Charlottesville and the College of William & Mary in Williamsburg ranked first and fourth among the 2013 Princeton Review’s list of top 10 best values for public colleges. The educational services company released its annual list of the nation’s best undergraduate colleges this year, including 138 schools in the southeast region and 378 across the country. According to The Princeton Review website, the list was determined by student answers to surveys asking them to rate their schools in academic and student life areas. Six other Virginia universities were listed among the publication’s 75 best values for public colleges: (CNU) Christopher Newport, George Mason, James Madison, Longwood, Radford and Virginia Tech. The University of Richmond made Princeton’s list of 75 best values for private colleges. The lists are based on data collected from fall 2011 through fall 2012 through institutional and student surveys. The publication weighted more than 30 measurements including academics, costs and financial aid. Princeton Review also considered the percentage of graduating seniors with student loans and the average debt of students at graduation. The estate of the late Walter J. Zable ’37, LL.D. ’78 has provided a $23.9 million gift to William & Mary, $20 million of which will be split between scholarships for student athletes and renovations to the stadium that carries his name. The gift ranks among the largest single gifts in W&M’s 320-year history. Zable, who died in June 2012 at the age of 97, instructed in his will that William & Mary receive $10 million toward scholarships for student athletes. Another $10 million will go toward future renovations of Zable Stadium, which was built in 1935 and is in dire need of repair. The remaining $3.9 million was undesignated and W&M is currently exploring the best use for the funds. Walt Zable himself was a gifted athlete. A Boston native, he turned down a scholarship offer from Harvard University to attend William & Mary, where he became an honorable mention All-American in football while also lettering in baseball, basketball and track. He received a bachelor’s degree in physics from the College and met his late wife of 65 years, Betty Virginia Carter Zable ’40. Those academic and emotional ties to the school remained strong all of his life, even after he moved to California in the early 1940s. In 1949, he started his own business in his garage focused on microwave technology. The business later moved to an office in Point Loma, Calif., where the Cubic Corporation made its first profitable product, a gadget that measured the power of microwaves. Today, the company is a global leader in the development of technology systems for military training and transportation services. Cubic has a presence in nearly 60 nations and employs about 8,000 workers worldwide. Zable served as Cubic’s chief executive, chairman and president until his passing. Zable remained very connected with his alma mater. In 1971, he was awarded the Alumni Medallion, the highest honor given by the Alumni Association. In 1978, William & Mary awarded him an honorary doctor of laws degree. He served on the College’s Board of Visitors from 1992 until 2000. William & Mary is one of the top values in the nation, according to a report released by the Princeton Review this morning. The university ranks fourth among public colleges and universities in the report, which looks at academic excellence, cost, financial aid and other factors at 150 universities and colleges across the country. The ranking was featured on the Today show this morning. William & Mary ranked sixth among public universities in the same listing last year. The announcement comes just about a month after Kiplinger’s Personal Finance also lauded William & Mary for its value. At the end of December 2012, the magazine listed William & Mary fourth among its list of top 100 American public colleges and universities that combine “outstanding education and economic value.” It was the fourth year in a row that William & Mary was listed as the fourth in the country. Although today’s Princeton Review report, which is produced in partnership with USA Today, does not rank the schools one through 150, it does include top 10 lists for the 75 schools in both the public and private categories. The remaining schools are listed in alphabetical order. The institutions that appear on the list were selected from 650 colleges where the Princeton Review conducted institutional and student surveys in 2011-12. The University of Virginia topped the list of public colleges, followed by the University of North Carolina at Chapel Hill and New College of Florida. 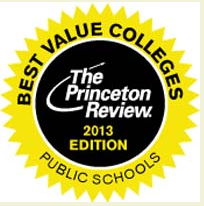 A link to the Princeton Review rankings can be found HERE.